Swing Gate – The design of the swing gates in a game fence. Swing gates are similar in concept to a residential pet door. They enable burrowing animals such as warthogs, porcupines, aardvark and pangolin to enter farms through a hinged flap in the fence line. Researchers at the Cheetah Conservation Fund (CCF) have taken a simple concept, used by many farmers for many years, and developed it into an effective gateway which allows burrowing animals to cross fencelines while deterring predators. The CCF’s records indicate that game farmers may have a much bigger impact in decimating predators than livestock farmers. Announcing the progress in their research to find ways to reduce predator conflict, the CCF said “after many officials in Namibia and Southern Africa reported game ranchers as removing and killing higher numbers of cheetahs and other predators than livestock farmers, the Cheetah Conservation Fund has been researching ways to reduce conflict between game farmers and predators through the use of what are called “swing gates”. In a recently published paper titled ‘Environmental factors affecting swing gates as a barrier to large carnivores entering game farms’ published 23 December 2014 in the African Journal of Ecology, researchers from CCF, the Durrell Institute of Conservation and Ecology, the University of Kent, Canterbury, UK, and Van Hall Larenstein, University of Applied Science, Leeuwarden, The Netherlands, show how game farmers can reduce losses and thus reduce conflict and stop killing predators. 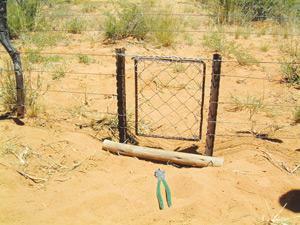 Swing gates have been developed and tested by CCF researchers to reduce wildlife losses in fenced game farms due to predation by cheetahs and other predators. Swing gates are similar in concept to a residential pet door. They enable burrowing animals such as warthog, porcupine and aardvark to enter farms through a hinged flap in the fence line. Swing gates eliminate the burrowing species’ need to dig holes under the fence that can potentially allow valuable animals to escape and large carnivores such as cheetahs and leopards to enter. CCF has advocated to game farmers over the past few years that swing gates are a less expensive alternative to electric fencing. “We believe that many game ranchers do not want to resort to killing carnivores, and our findings demonstrate that swing gates, when properly located, are another effective tool to help reduce human-wildlife conflict”, said Nikki Rust, the study’s lead author and a PhD candidate at the University of Kent. Swing gates in fence lines have been shown by CCF to be a reliable and cost-effective, non-lethal predator control technique for game farmers, and the newly published research suggests where the gates are located are critical to the success of the gates. The placement of the gates needs to take into account grass height, vegetation density, soil type and distance to watering holes. 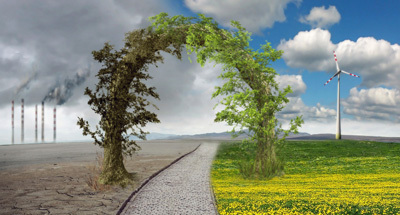 Other environmental variables such as climatic season and moon phases, were also considered in the study. “Game ranchers are responsible for more cheetah removals than livestock farmers”, said Founder and Executive Director of CCF and the study’s co-author and director of research, Dr Laurie Marker. “When predators enter a game farm, they can create a large financial loss. That’s why it was important for us to look at how the concept of swing gates can be optimised for maximum benefit with commercial game farm operations”. The study determined that the number of holes dug by burrowing animals under game fences decreases over time when swing gates are easily accessible and ideally placed. Ironically, the study’s authors also concluded that while burrowing animals have learnt to use these gates, large carnivores are fooled into thinking that the fence lines are completely intact. To discourage digging and to reduce costs associated with fence repair, the authors recommend extra swing gates be installed in high disturbance areas, such as where the fence line is positioned near water points. “While fencing off large tracts of land and excluding cheetahs from their natural habitat is not a viable long-term solution to the conflict, swing gates can help reduce game ranchers’ losses due to predation. This will [afford] us time to work on a permanent solution that will enable all species to peacefully coexist on the same land, such as the development of Conservancies”, added Dr. Marker.